Corbally Baths gone but for the steps and memories. 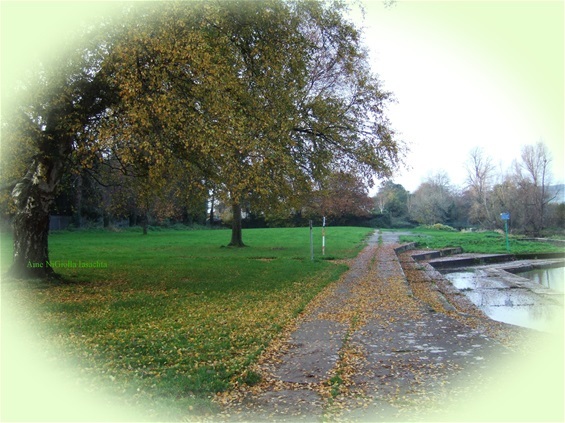 Autumn 2013. 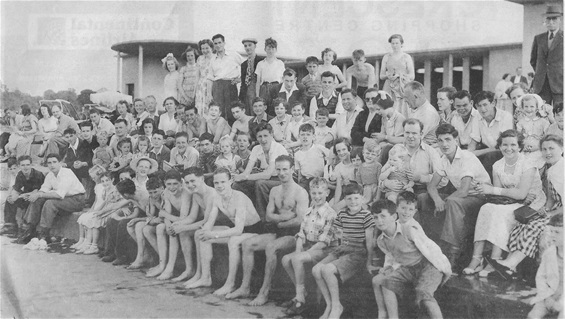 At the Swimming Pool there were two children's paddling pools, a small drinking fountain, ladies and mens changing rooms and toilets, separated by a shop in the centre. The main swimming area was the Shannon river, and if you didn't mind the crowds, what could be more refreshing than to dive into the cool sparkling water and gaze through your wet eyelashes at the blue sky. 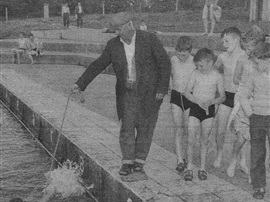 The caretakers of the Swimming Pool (Corbally Baths) in the early 1950's were Mr. & Mrs. Gus Hanley next Mr. & Mrs. Ryan, last and probably best known and longest serving were Mr. & Mrs. Seán Keogh. 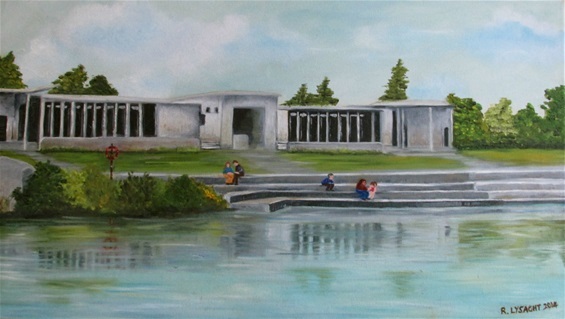 CORBALLY BATHS - Painting by Rosaleen Bolger. Corbally Baths. To the locals it was simply called "The Pool". This photo shows the shop in the centre and at each side the ladies and gents changing boxes and children's paddling pools. Duffy's were the first people to have the shop in Corbally Baths. 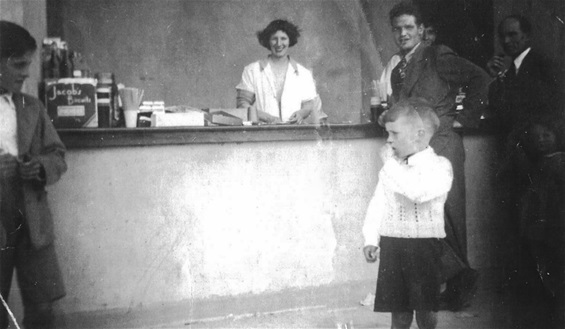 The lady serving behind the counter is Kitty O'Halloran (nee Duffy), her brother Billy Duffy and her young son Alf O'Halloran. 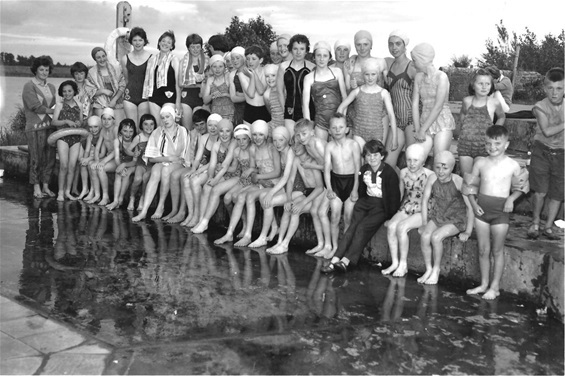 SHANNON SWIMMING CLUB - From left: Swimming Coach; Mae Clancy, Mary O'Halloran, Ann Lysaght, Francis Walsh, Patsy Duggan, Rita Clancy, Nuala Clancy, Mary Green, Carmel Uniak, Dorothy Hagerty, Marion Healy, Front Row: Monica Moloney, Joan Cantillon, Mary O'Brien, Anna Gilligan, Bernadette Mullins, Michael Clancy. 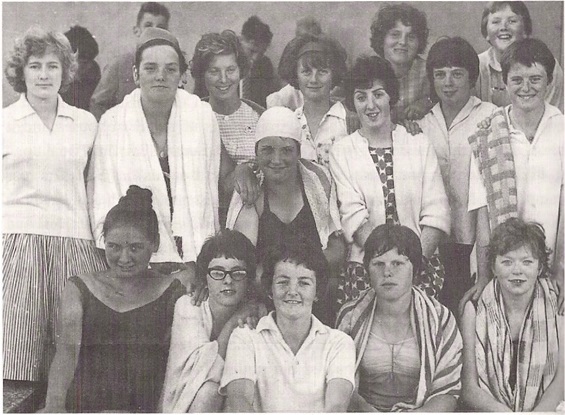 SHANNON SWIMMING CLUB MEMBERS: From left:- Carmel Galvin, Rita Clancy, Nancy Cowhey, Mary O'Connor, Mary O'Brien, Alice Clancy and Mary O'Halloran. 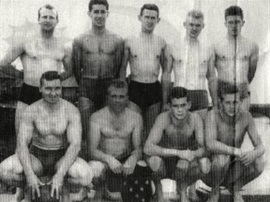 SHANNON SWIMMING CLUB MEMBERS, CORBALLY 1960. Back row from left: Joan Cantillon, Bridie Hayes, Olive Galvin, Mary Mullins, Ann Lysaght, Evelyn Devane, Nuala Clancy, Bernie Anslow, Rita Clancy. Front row: Audrey McAuliffe, Elsie Gilligan, Mae Clancy (Swimming Coach), Mary O'Connor and Anna Gilligan. 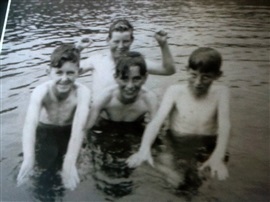 CHRISTMAS DAY SWIM, CORBALLY BATHS 1962. John Earls, Donogh O'Malley, Jim Graham, John Cronin, Mickey Ryan, Eddie Gavin, Charlie Malone, Gerry Boland, Noel Ryan, Ger Ryan, Mr. Ryan, Austin Wallace. (Photo courtesy of Dan Gallagher). 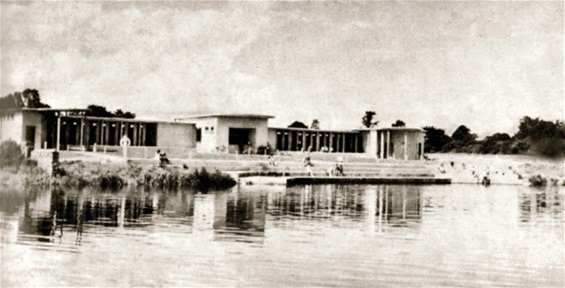 CORBALLY SWIMMING POOL 1955. Papers strewn all over after a hot sunny August day. 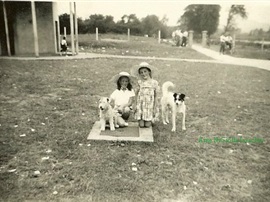 The young girls are: Left Elaine Hanley (daughter of caretaker) with her dog Snowie and Ann Lysaght kneeling with neighbours dog Rowdy Kinsella. Mr. Sean Keogh, caretaker, teaching some children how to swim. 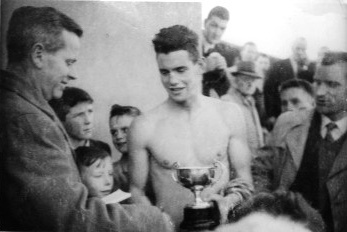 SWIMMING GALA, CORBALLY BATHS 1962. 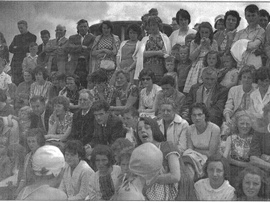 In the crowd were: Ann Canty, Colette Price, Mrs. Lysaght, Rosaleen Lysaght, Aileen Gilligan, Mrs. Kitty Gilligan, Mrs. Nelly Clancy. 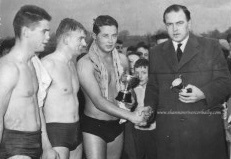 THOMOND SWIMMING CLUB, Munster Junior Water Polo Championships 1959. Back, Left to Right: Michael Ryan, Tommy Slater, Ger Boland, Jim Graham, John Earls. Front: Paddy McMahon, John Cronin, Dan Gallagher, Peter Boland. 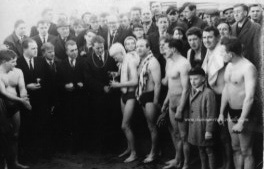 CHRISTMAS DAY SWIM, Corbally Baths 25th December 1964. From left: Bridie Hayes, Monica Malone, Phyllis O'Carroll, Margaret Hayes, Joan Cantillon. 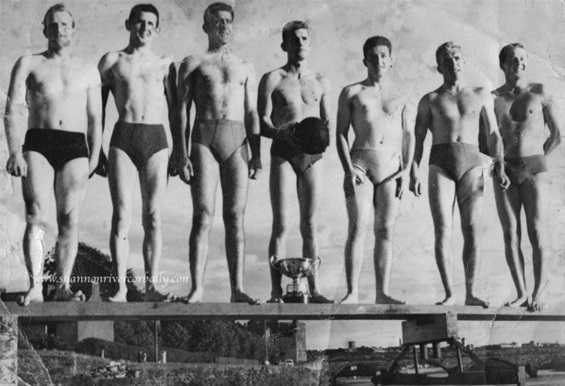 Michael Hanley with hands up and others swimming at the bridge near Corbally Baths. 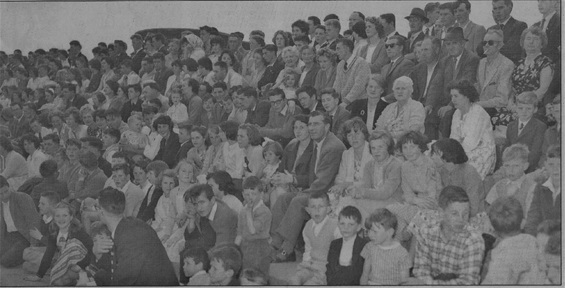 Presentation time Swimming Gala Corbally Baths 1960's. Faces in the crowd: Mae Clancy, Jim Graham, Frank Pendergast, Ann Lee, Jean McCarthy, Una Brockett, Mrs. McCarthy, Mike Hartnett, Gerry Moore. 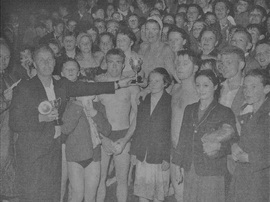 Swimming Gala Corbally Baths 1955. 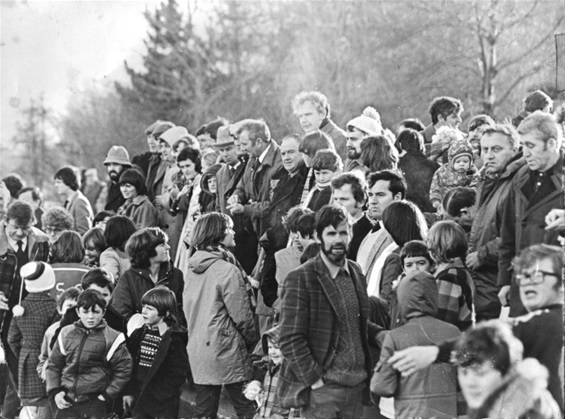 Faces in the crowd include: Elaine Hanley, Ann Lysaght, Denis O'Shaughnessy, Bernie Spain, Denis O'Keefee, Frankie Kearney, Denis Noctor and Gabrielle Tobin. I am afraid that your fine information board at the Corbally Baths was smashed by local vandals last night. It was intact, when I passed it before 5pm y'day. Saw it this afternoon Brendan, what a shame, it took a long time to have it put up, but it didn't take long for valdals to break it down. Well done Ann, great photos. The Red Path was a magical place. My dad Jimmy Real was great friends with your dad Nay Lysaght. Thanks Ann, I remember your mother Rosaleen also and recall visiting the original house? many many years ago to see the magnificent array of birds kept there.